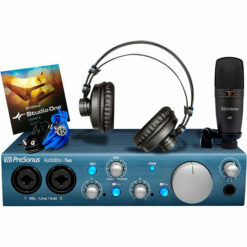 Whether you’re just starting out on your musical career or you”re a seasoned professional, Scarlett Studio gives you everything you need to start recording studio-quality music right away–right down to the microphone cable. Just add your computer. Now you can record guitar, vocals, bass or other instruments directly into your computer, complete your recordings with studio effects and create a master mix. Focusrite has been making high-end recording systems, used in the world’s top studios, for over 25 years. 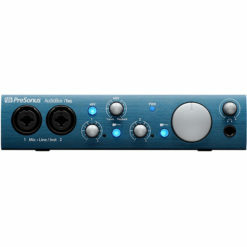 That same precision engineering is now available in a compact, high-quality system for you to connect to your computer and start recording now–and it”s all inside this box. 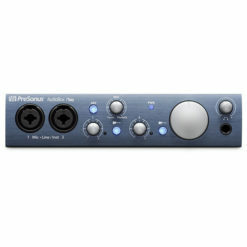 The audio interface is the key to making professional recordings. At the heart of Scarlett Studio is the Scarlett 2i2. 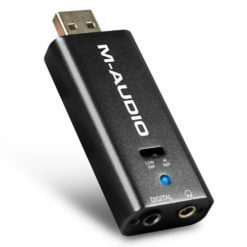 This interface connects to your Mac or PC via the USB port and provides 2-inputs and 2-outputs to your music software. Scarlett 2i2 delivers the legendary Focusrite quality that audio industry professionals have relied on for decades, employing two award winning microphone pre-amps to record at the best quality in its class. 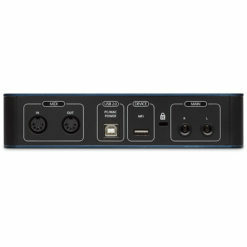 Plug your instrument and the included studio microphone straight into the front panel and 2i2 brings them into your computer at the highest possible quality. 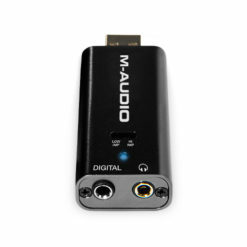 You can record, edit and mix until you have just the sound you want, with the best possible playback quality so you can hear exactly what you’re doing. 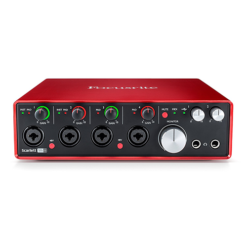 Scarlett Studio really does give you everything you need to start recording. There’s a studio condenser microphone, the CM25, that’s specially designed to catch the life and soul of your vocals and acoustic instruments. Clean, smooth and sensitive, it captures every nuance. If you can hear it, you can record it. 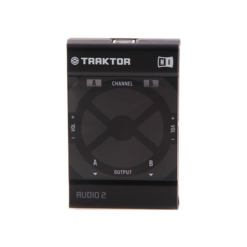 There”s even a high-quality, low-noise microphone cable included, to connect the CM25 to the Scarlett 2i2. The included HP60 studio monitor headphones tell it like it is. Accuracy is number one when it comes to monitoring. Unlike many headphones that flatter the sound, making it sound better than it really is, the HP60s give you a clear and accurate impression of how your music sounds, so you can get it just the way you want it. And when you play it back elsewhere, it will sound great. Scarlett Studio includes all the software you need to get you going right away. Cubase LE 6 is powerful music production software for recording and mixing. Focusrite’s Scarlett plug-ins, the Red 2 and Red 3 Plug-In Suite (AAX/AU/VST), and the Softube Time and Tone Bundle (downloadable upon registration) are a set of essential tools for polishing your mix, like compression to tighten up that bass or keep your vocals smooth and even, equalizers to bring out the character in your sound, gating to help remove noises, and reverb to give your music the space it needs. 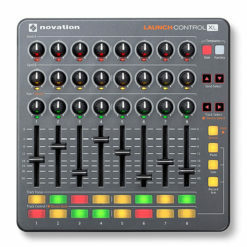 The Novation Bass Station is a software synthesizer that you can use to add additional bass or melody sounds to your music. 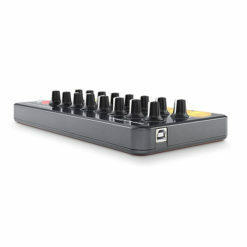 Because it is a synth, you can create totally new sounds that no one has ever heard before, or recreate classic sounds. 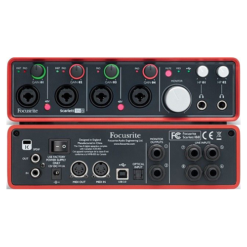 Focusrite sound quality is second to none. 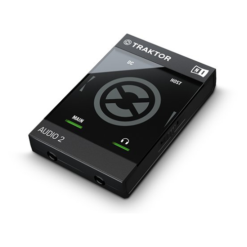 In technical terms, Scarlett 2i2 offers 24-bit performance at up to 96kHz sampling, with better than 105dB dynamic range on record; better than 102dB on playback. That’s true studio quality. 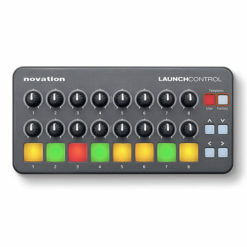 LED ‘halo’ indicators around the input knobs help you to know whether you’re recording at the right level. The indicators instantly show green when the level’s just right and red if it”s too loud. 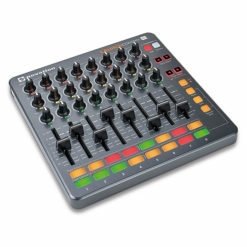 The package is totally portable: if you are using a laptop, you can transport your studio in a backpack to your rehearsal space or venue with no need to plug into the mains.